Our FEAT Headband Buff® is perfect for everything. We keep meeting people who have cut up an Original Buff® to make it narrower so that it can be worn comfortably as a headband. Noooooo! 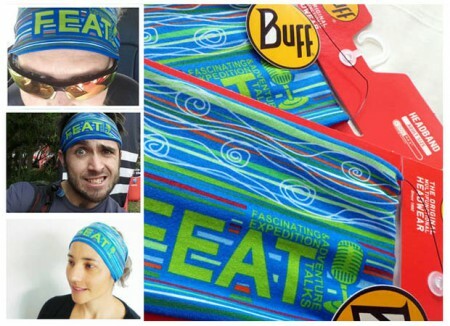 Get yourself a stylish FEAT Headband Buff® instead! Our FEAT Headband Buff® is ideal for outdoor pursuits when the mercury drops. Not too thick, not too thin; not too warm either. These Headbands are just right. Order directly from Lisa (feat@featsa.co.za). I’ll courier to you for R45 and a bunch of Buffs will fit into one bag.